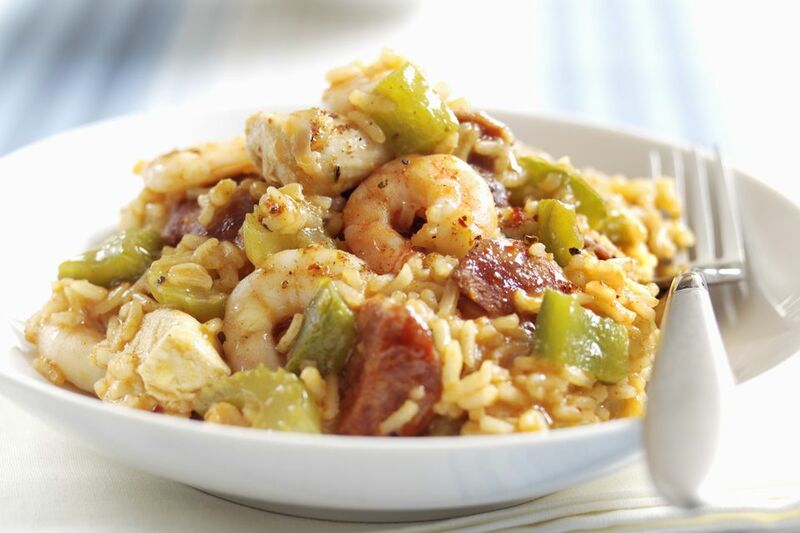 This jambalaya recipe can be made as mild or spicy as you like. Just adjust the amount of cajun seasoning and cumin. Although this jambalaya recipe takes some time to cook, once everything is in the pot, you don't have to do too much. Serve this jambalaya with cornbread. Add shrimp. Cook 5 more minutes or until shrimp is cooked through. Crumble bacon in jambalaya. Stir. Top with chopped spring onions, and serve. Makes 6 servings of jambalaya.